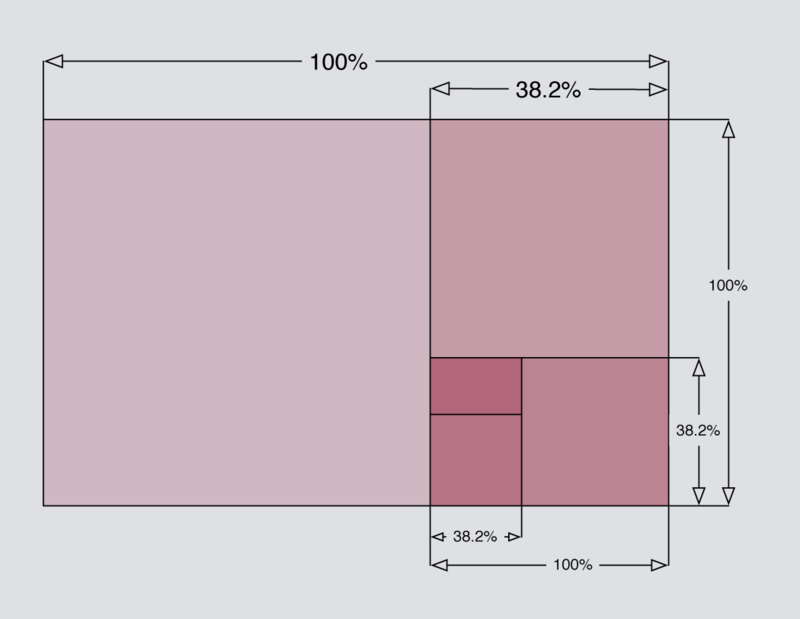 As building blocks go, the rectangle is not one to overwhelm the designer with decisions. On the face of it, you have two options: you can set the width, and the height. But despite this apparent simplicity, there are combinations of width and height that can look unbalanced. If a rectangle is too tall and slim, it might appear precarious. If it is not tall enough, it may simply look flat. But like a guitar string that’s out of tune, you can tweak the proportions little by little until a rectangle feels, as Goldilocks said, just right. A golden rectangle has its height and width in the golden ratio, which is approximately 1:1.618. These proportions have long been recognised as being aesthetically harmonious. Whether through instruction or by intuition, artists have understood how to exploit these proportions over the centuries. Examples can be found in classical architecture, medieval book construction, and even in the recent #newtwitter redesign. 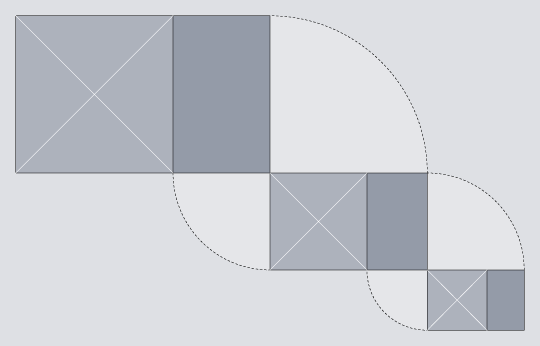 The golden rectangle is unique, in that if you remove a square section from it, what is left behind is itself a golden rectangle. The removal of a square can be repeated on the rectangle that is left behind, and then repeated again, as many times as you like. 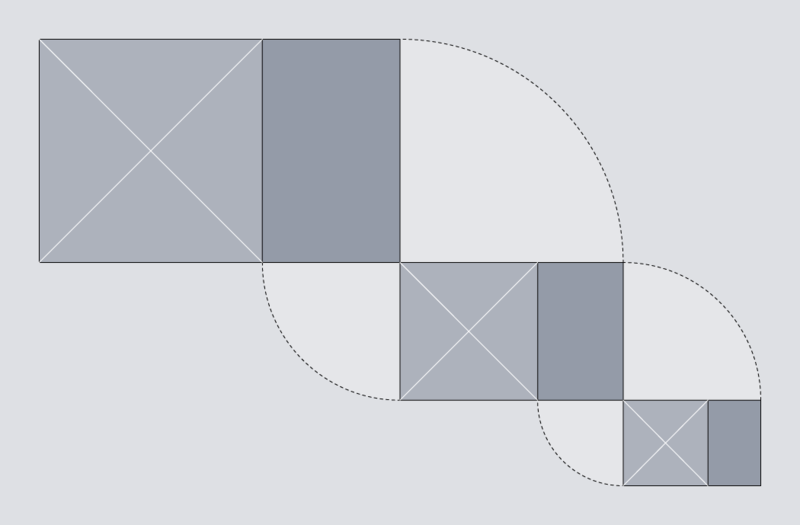 This means that the golden rectangle can be treated as a building block for recursive patterns. 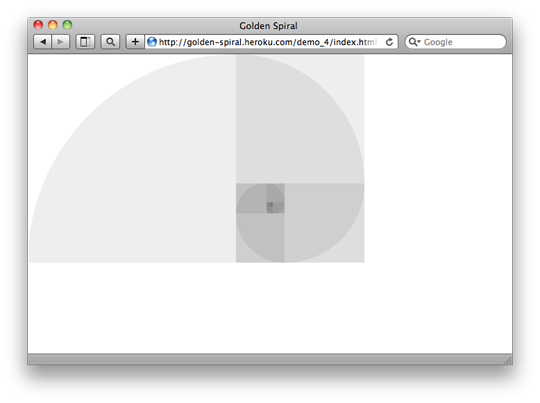 In this article, we will exploit this property to build a golden spiral, using only HTML and CSS. The HTML we’ll use for this study is simply a series of nested <div>s. The first of these has the class cycle, and so does every fourth ancestor thereafter. The spiral completes a cycle every four steps, so this class allows styles to be reused on <div>s that appear at the same position in each cycle. The greater than symbol is used here to single out the immediate child of the #container element, without affecting the grandchild or any of the more distant descendants. We could go on to specify the precise pixel dimensions of every child element, but that means doing a lot of sums. It would be much easier if we just specified the dimensions for each element as a percentage of the width and height of its parent. This also has the advantage that if you change the size of the outermost container, all nested elements would be resized automatically – something that we shall exploit later. The approximate value of 38.2% can be derived from (100 × 1 − phi) ÷ phi, where the Greek letter phi (ϕ) stands for the golden ratio. The value of phi can be expressed as phi = (1 + √5 ) ÷ 2, which is approximately 1.618. You don’t have to understand the derivation to use it. 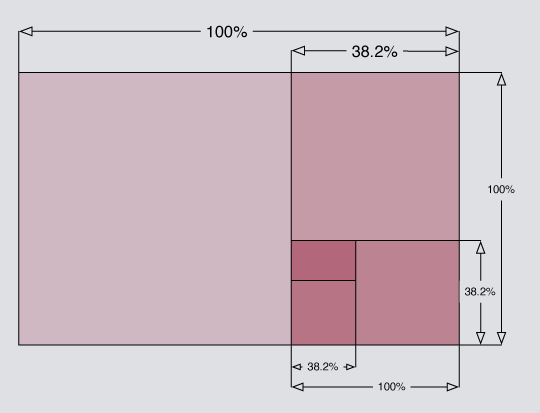 Just remember that if you start with a golden rectangle, you can slice 38.2% from it to create a new golden rectangle. You can see the result so far by visiting Demo One. With no borders or shading, there is nothing to see yet, so let’s address that next. We’ll need to apply some shading to distinguish each segment of the spiral from its neighbours. We could start with a white background, then progress through shades of grey: #eee, #ddd, #ccc and so on, but this means hard-coding the background-color for every element. A more elegant solution would be to use the same colour for every element, but to make each one slightly transparent. 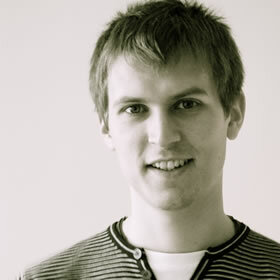 The nested <div>s that we are working with could be compared to layers in Photoshop. By applying a semi-transparent shade of grey, each successive layer can build on top of the darker layers beneath it. The effect accumulates, causing each successive layer to appear slightly darker than the last. In his 2009 article for 24 ways, Drew McLellan showed how to create a semi-transparent effect by working with RGBA colour. Here, we’ll use the colour black with an alpha value of 0.07. Note that I haven’t used the immediate child selector here, which means that this rule will apply to all <div> elements inside the #container, no matter how deeply nested they are. You can view the result in Demo Two. As you can see, the golden rectangles alternate between landscape and portrait orientation. Note that the specification for the border-radius property is still in flux, so it is advisable to use vendor-specific prefixes. I have omitted them from the example above for the sake of clarity, but if you view source on Demo Four then you’ll see that the actual styles are not quite as brief. 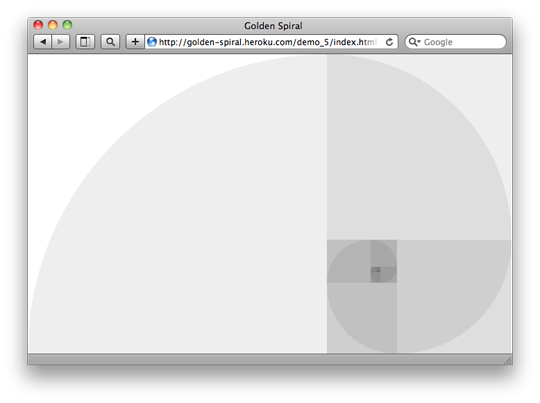 We have created an approximation of the Golden Spiral using only HTML and CSS. Neat! It’s a shame that it occupies just a fraction of the available space. As a finishing touch, let’s make the golden spiral expand or contract to use the full space available to it. You can view the result by visiting Demo Five. Is it just me, or can you see an elephant in there? You can probably think of many ways to enhance this further, but for this study we’ll leave it there. It has been a good excuse to play with proportions, positioning and the immediate child selector, as well as new CSS3 features such as border-radius and RGBA colours. If you are not already designing with golden proportions, then perhaps this will inspire you to begin.